So the word is out that the Top Web Trends for 2010, according to CNN, is more Twitter, more FaceBook, better internet television, and more real time and location based services. As I write from my iPhone to my blog which pushes to Twitter, the proof is in the pudding. I just wish I could have had this go from dictation to iPhone, and that is my addition to the 2010 outlook. Is there anyone out there that likes typing on these mini keyboards. 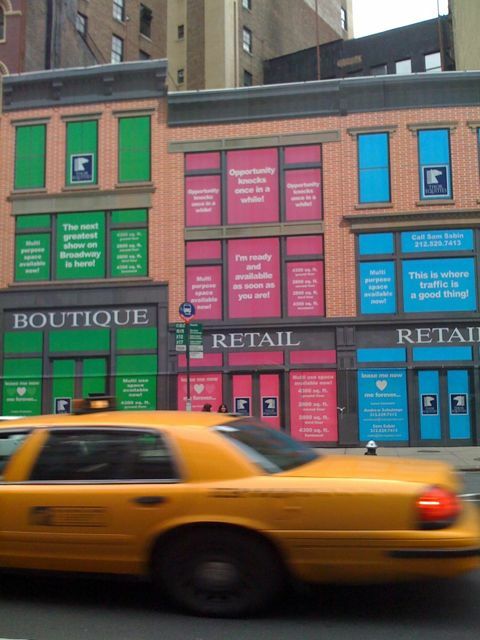 How to pretty up a block of Broadway with a quick fix. One of the things I love about living in NYC is the immediate access to anything you want. It’s like living on-demand. 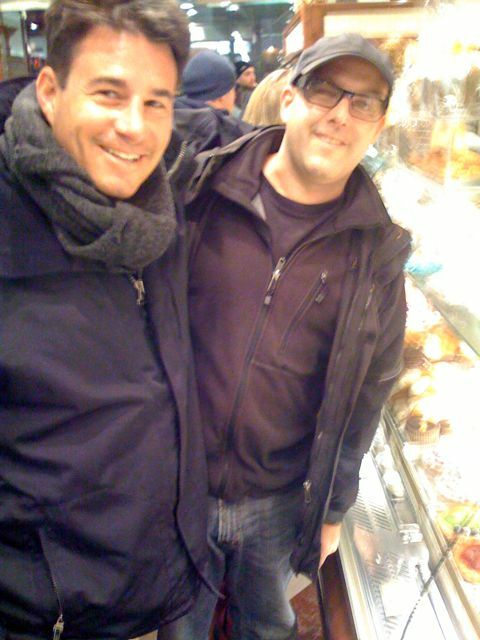 Here I am with Dan Petrocchi, enjoying the fine art of cannoli.